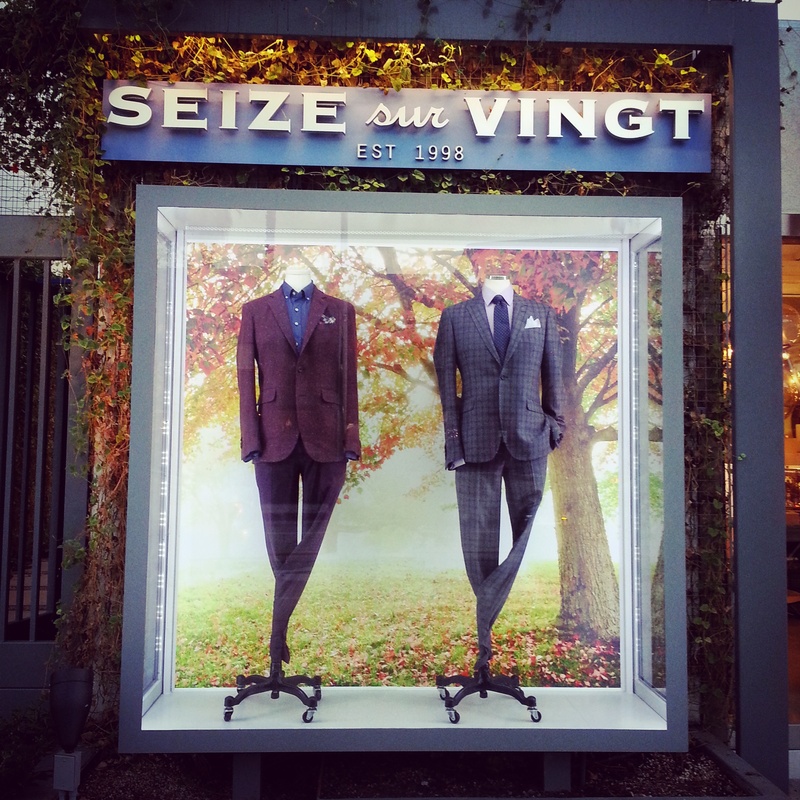 Here’s a very attractive visual display created by our customer Seize sur Vingt in California. They used our Wallboard Vinyl for the background in this display, and the results are striking. Wallboard Vinyl is a good choice for this kind of thing because it will be changed every season. It goes up quickly, and comes down just as easily. It comes with a “sticky note” adhesive that leaves no residue behind when you remove it. If you are doing temporary displays like this, think of Wallboard Vinyl next time. This entry was posted in custom wall murals and tagged removable wallpaper, retail displays, store displays, temporary wallpaper. Bookmark the permalink.